Music is the soul of St. Louis, inseparable from the sounds of day-to-day life in this Mississippi River city. This year, explore St. Louis with one ear turned toward the rhythm of America’s musical heritage. 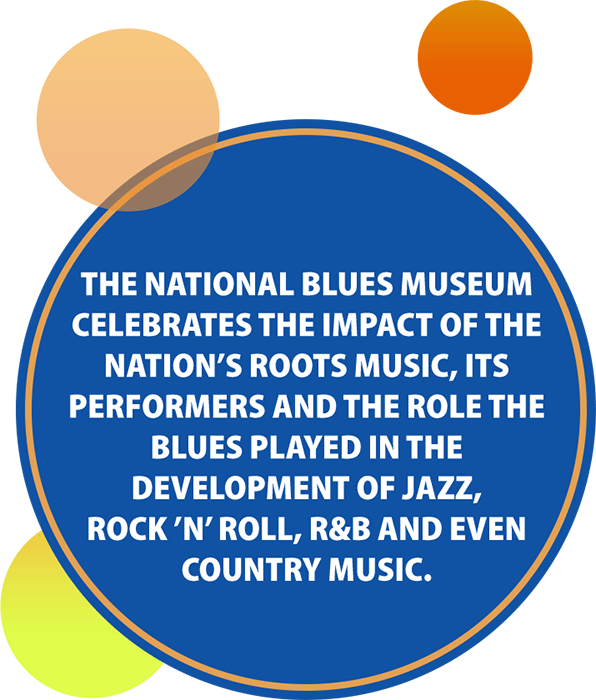 The National Blues Museum celebrates the impact of the nation’s roots music, its performers and the role the blues played in the development of jazz, rock ’n’ roll, R&B and even country music. Interactive exhibits, artifacts, educational programming and a 150-seat performance venue give music lovers the best of the blues. The Scott Joplin House, home to the man known as the King of Ragtime, gives visitors a rare look at African-American life in the Ragtime era. A player piano wafts his music through the house; exhibits include details on his music from the 1904 World’s Fair. 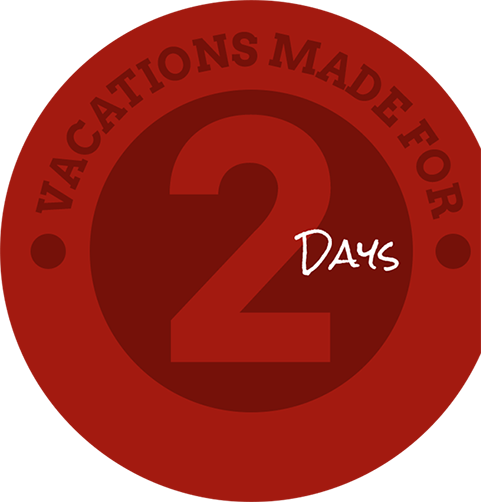 Before your visit, check the calendars for big touring concerts and local bands. Hollywood Casino Amphitheatre is an outdoor performance venue with tent and lawn seating that welcomes the nation’s top tours. The Pageant, a concert nightclub in The Loop, hosts cutting-edge artists while local and touring bands stop at venues including the Duck Room at Blueberry Hill and Cicero’s. 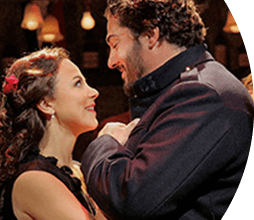 During May or June, experience the acclaimed Opera Theatre of Saint Louis, where skilled singers perform classic and contemporary works in English. At night, visit local blues music clubs to see contemporary performers paying tribute to St. Louis’ signature sound. Cruise to venues along Broadway south of Busch Stadium, cozy clubs in the historic Soulard neighborhood or the blues and jazz club at Westport Plaza. A Gateway Riverboat Cruises trip along the Mississippi showcases the waterway that brought jazz and blues upriver to St. Louis in the 19th century. Walk in the footsteps of rock ’n’ roll pioneer Chuck Berry in The Loop neighborhood. A bronze statue of the St. Louis native in his famous “duck walk” pose stands on Delmar Boulevard. Across the street, Blueberry Hill is filled with music memorabilia, including Berry’s guitar. All along Delmar, stars and biographies of notable St. Louisans create the St. Louis Walk of Fame. Musicians honored there include Berry; Ike and Tina Turner; opera’s Grace Bumbry, Robert McFerrin and Christine Brewer; Scott Joplin; Nelly; Michael McDonald of Doobie Brothers fame and jazz trumpeter Miles Davis. In the evening, Jazz at the Bistro hosts the nation’s top touring artists at its listening room in the Grand Center arts and entertainment neighborhood. The arts district’s Sheldon Concert Hall presents a full schedule of musical entertainment in all genres in its acoustically perfect environs. At Powell Hall, see the St. Louis Symphony Orchestra perform from September through May. Beyond the blues, enjoy annual music festivals throughout the year. 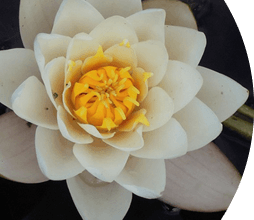 The flowers at the Missouri Botanical Garden face competition from beautiful music during the Whitaker Music Festival each summer. Fair Saint Louis, held over the Independence Day holiday, includes major concert performances. LouFest brings local, regional and national acts, ranging from funk and indie-rock to alt-country and soul, to the lawn in Forest Park each September. The Big Muddy Blues Festival rocks Laclede’s Landing every Labor Day weekend. Adrenaline-pumping activities for the whole family are found all across St. Louis. Start the morning gliding over the Meramec River on the Caveman Zip Line at Meramec Caverns, then follow up with a float trip—a Missouri tradition of canoeing down the cool, clear rivers of the Ozark waterways. St. Louis is home to miles of trails. Rent a bike and pedal through Forest Park on 5.6 miles of paved paths or take to the Bike St. Louis marked road paths. Grant’s Trail rolls past historic sites associated with the 18th president of the United States and the Katy Trail follows a rails-to-trails path along the Missouri River near wineries, small towns and scenic overlooks. The Confluence Greenway marks a 200-square-mile system of parks and trails following rivers in Missouri and Illinois. Organized rides are planned by the non-profit Trailnet across the region. For a different kind of ride, hop aboard the Segway tour of downtown, Forest Park or historic neighborhoods. Continue your active adventure at City Museum. The unique attraction is a hands-on playground for adults and children unlike anything you’ve ever seen before. Zoom down a 10-story slide, explore man-made caves, climb through a maze of aerial tubes or take a circus arts class to learn wire walking, juggling or acrobatics. Climb the indoor rock walls at Upper Limits Indoor Rock Climbing Gym or Climb So iLL, where there are courses for beginners and experienced climbers. Jump into Hurricane Harbor at Six Flags St. Louis, Raging Rivers or Aquaport for cool water park fun. Rent a kayak, stand-up paddleboard or canoe to paddle Creve Coeur Lake’s water trail, or swing on the Go Ape! Zip Line above treetops. The Grafton Zip Line features a 2,000-foot-long line 250 feet in the air. 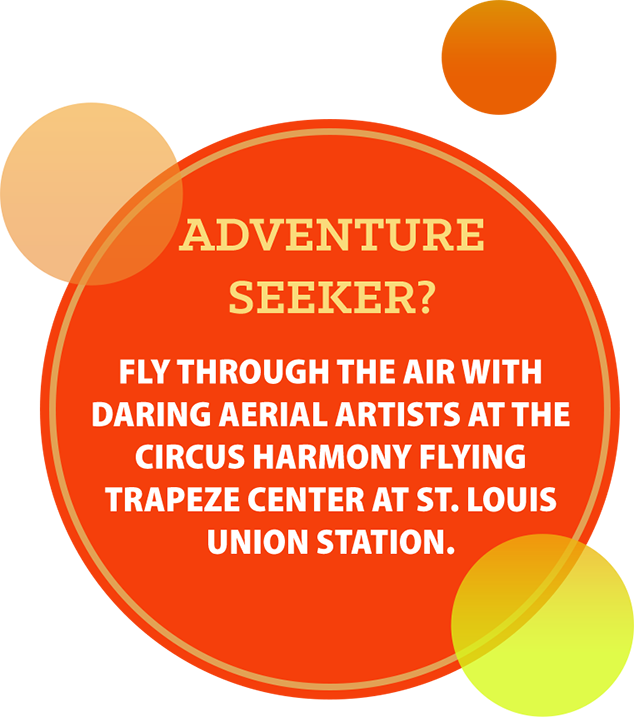 Fly through the air with daring aerial artists at the Circus Harmony Flying Trapeze Center at St. Louis Union Station. Helicopter tours take off from below the Gateway Arch to get visitors even higher over the city and the Mississippi. Feeling the need for speed? At Gateway Kartplex, part of Gateway Motorsports Park, GT-5 rental karts reach speeds of up to 60 miles per hour on the 11-turn half-mile outdoor road course. Pole Position Raceway brings karting fun indoors for adults and kids. At Chesterfield Sports Fusion, enjoy the laser tag arena, dodgeball, miniature golf, rock climbing and an arcade. Adrenaline Zone features multi-level laser tag and Demolition Ball, a combo of hockey, football, basketball and polo played from super-charged bumper cars. Brunswick Zone XL includes cosmic bowl and a laser tag arena. For a retro bowling experience, spend the evening at the vintage Saratoga Lanes or sip on a cocktail between frames at Flamingo Bowl. The Great American Human Foosball attraction turns visitors into players on a giant-sized foosball table field. 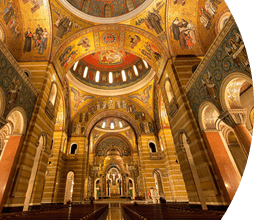 Discover even more to see and do in St. Louis!